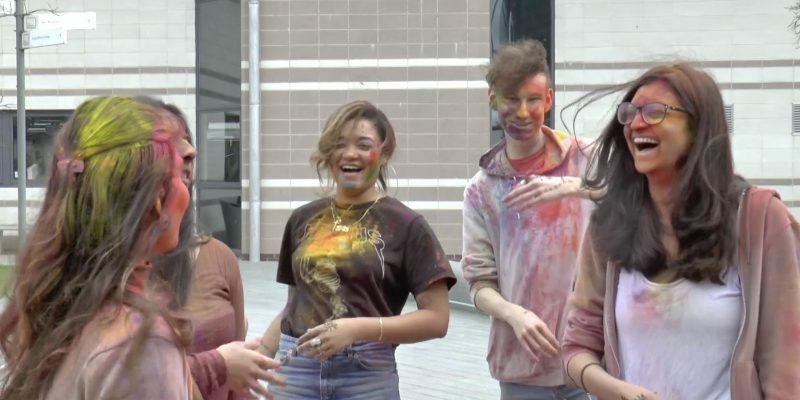 Holi Festival is back at Arts University Bournemouth this year. It is one of many celebrated events across the country, and it is also known as the ‘festival of love’. Holi traditionally lasts for one day and one night. The get-together took place in the AUB courtyard, and it involved students getting together and throwing coloured powders at each other in celebration of life. The Ambassador for India at AUB, Kinnari, had this to say about the event. Kinnari said that Holi is becoming more popular year on year, with around 70 students taking part in the event yesterday. There was a traditional food stand, and one of the organisers was offering henna art. Henna is a temporary tattoo-like dye which is usually drawn onto the hand or forearms. 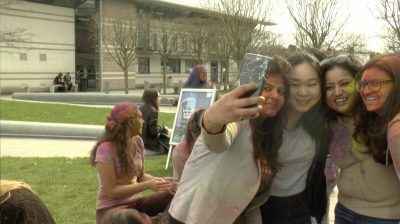 Students who took part in the event were covered in colours made from organic ingredients, such as turmeric and beetroot. Holi is seen as ‘a bit of fun’ to many partakers, but the colours all symbolise something deeper. Red symbolises love and fertility, and yellow symbolises Hinduism, piety, and strength. 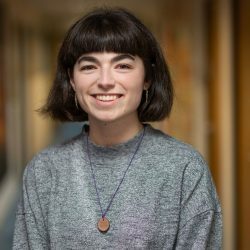 People from all walks of life were welcomed, and the general vibe was cheerful and accepting.